After a lot of test runs, I have encountered the first problem with the VSG, the carbon rod has melted the plastic tube of the coil and the sparks have vaporized some carbon powder on the tip of the tungsten rod, this has damaged the contact area between the carbon rod and the Th-load tungsten rod ( see the Feb 8, 2005 tests report ). 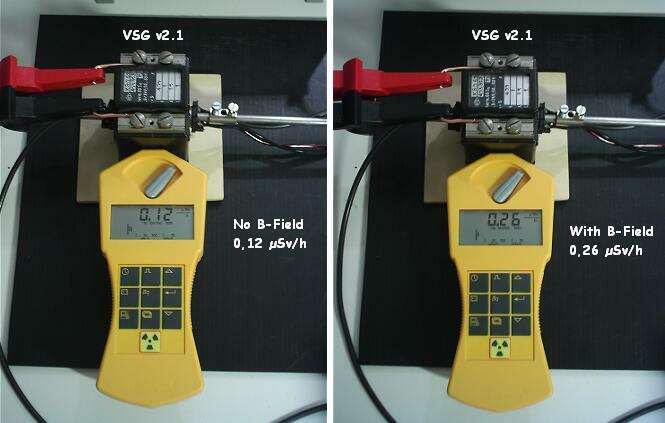 So, after that I have cleaned the tungsten cathod and placed a new carbon rod, the VSG is now ready for new tests runs. For a better accuracy of the measurements with the current transformer, I have decided to use a low resistance shunt (1 ohm) placed across the CT output instead of the 881 ohms RLoad. This will reduce strongly the influence of the magnetisation current which flows inside the Current Transformer (CT) when a high impedance load is used on its output. 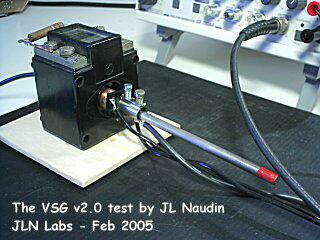 The Current Transformer (CT) used in this test is a 400:1 (15 KVA). 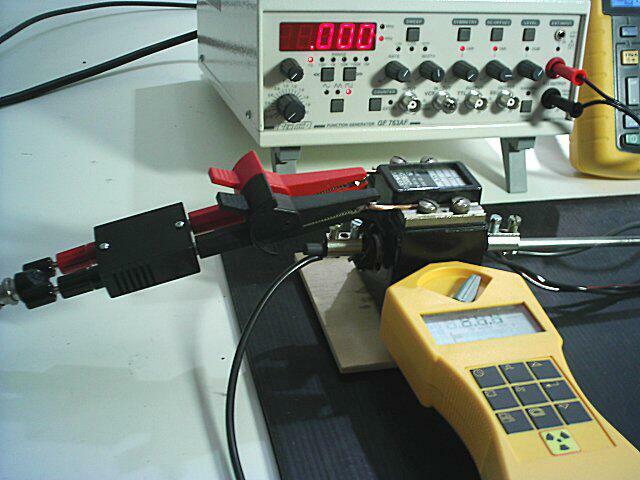 To measure the resistance of the Carbon rod more accurately, I have used the 4 wires method by measuring the current and the voltage with two digital multimeters. 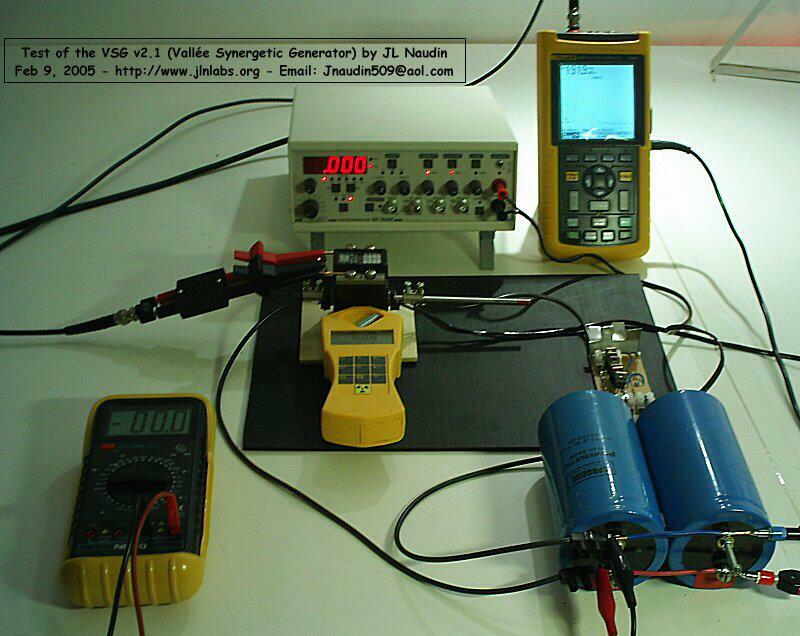 You may notice that the major gain in energy (10 J) is obtained during the first 5 ms of the discharge process, this can be explained by the existence of a working point of the VSG. A proper E-Field and B-Field level must be found so as to get the best energy efficiency. WARNING, USE CAUTION ! This experiment is not intended for the inexperienced. User of this document should be very carefull and experienced in the field of electronic and radioactivity to try anything out ! If you do it the risk of any results is just yours. I take no responsibility of anything that might happen.